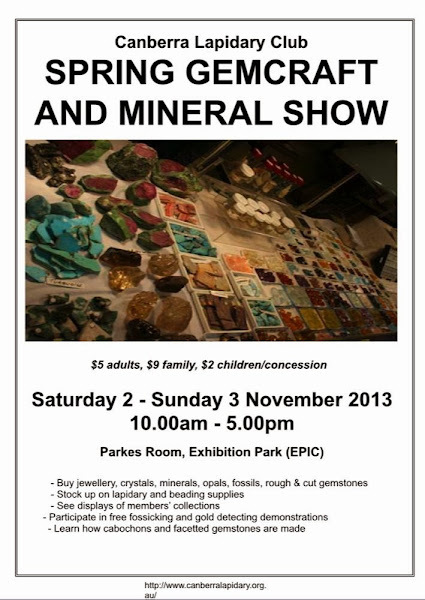 “The Canberra Lapidary Club’s Spring Gemcraft and Mineral Show will be held at EPIC from 10am to 5pm on Saturday 2 – Sunday 3 November. Entrance is $5 adults, $9 family, $2 children/concession. 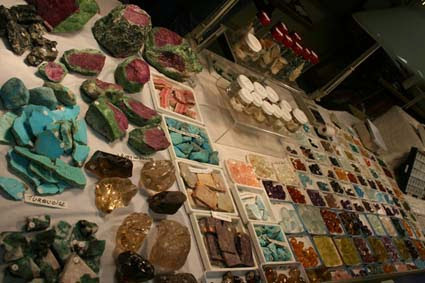 Dealers will be selling minerals, fossils, jewellery, rough and cut gemstones, lapidary equipment, opals, beads and other supplies.